The Darkest Shore will be released on PS4 on Jan. 30. The trailer for the first DLC zombies map in Call of Duty: WWII has been released, and it’s absolutely terrifying. The Darkest Shore is the newest Nazi Zombies map coming to WWII as a part of The Resistance DLC pack. This map has a very eerie feel to it, as the foggy weather sets the mood for a battle with the undead. And the creepy voice speaking throughout the trailer doesn’t help much either. A new weapon called the Ripsaw is being introduced in The Darkest Shore—it basically looks like a little handheld chainsaw that can just shred through hordes of the living dead. A brand new zombie is also set to join the game mode in the Darkest Shore. 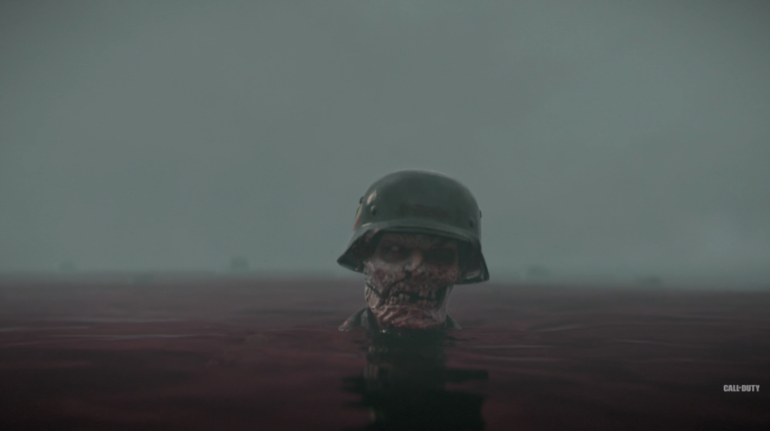 As the trailer ends, all you hear is, “you have no idea what you are up against” as hundreds of zombies emerge from a bloody and foggy body of water. The Darkest Shore will be available as part of The Resistance DLC, which is coming first to PS4 on Jan. 30. Players can either purchase it separately, or buy the WWII Season Pass in order to get all DLC map packs for this game as soon as they’re released.